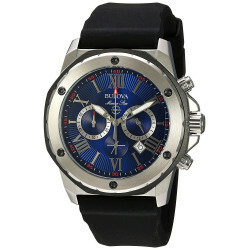 BULOVA There are 44 products. $596.25	$795.00 -25% Allow 2-3 Days for Processing. Thank You! $296.25	$395.00 -25% This item is on Backorder. Please, Allow 7-15 Days from the Date of Order, for the Process. Thank You! $356.25	$475.00 -25% Allow 2-3 Days for Processing. Thank You! $318.75	$425.00 -25% Allow 2-3 Days for Processing. Thank You! $337.50	$450.00 -25% This item is on Backorder. Please, Allow 7-15 Days from the Date of Order, for the Process. Thank You! $371.25	$495.00 -25% This item is on Backorder. Please, Allow 7-15 Days from the Date of Order, for the Process. Thank You! $446.25	$595.00 -25% Allow 2-3 Days for Processing. Thank You! $524.25	$699.00 -25% Allow 2-3 Days for Processing. Thank You!